When Miranda Rader was 15, she and another girl were abducted and assaulted. Randi manages to escape but when she brings authorities to the scene, the other girl is gone. As a result of her “lies,” Randi is arrested and spends six months in juvi. Today, Miranda has turned her life around, and is a respected detective on the Harmony, Louisiana police force. Now, she’s about to begin investigation on a case that will shake her belief in herself, her best friend, her lover, and the police officer who is her mentor. Richard Stark, English professor at the University of Louisiana at Harmony, has been murdered, mutilated in a way revealing the killer’s hatred. Buddy Cadwell, Miranda’s captain and mentor, doesn’t accept her theory that Stark was a sexual predator. Cadwell is a good friend of the victim’s father, who is also president of the university where Stark taught. He seems to be bending over backward to keep the entire investigation quiet. While Miranda continues her investigation, she finds herself thinking of what happened to her as a teen. As more evidence comes to light proving she’s involved in Stark’s death, she realizes she does know the dead professor. When Jake separates himself from Miranda for her own good even as he questions some of her actions, the determined lady cop finds herself on her own. As more of Stark’s victims are discovered and another murder happens, she barely manages to keep a few feet ahead of an arrest warrant. Retracing memories, tying them to present actions, she tries to discover what happened to the second victim that long ago night, and how and why someone wants her accused of the crime. In the end, she’ll face disillusionment and heartbreak as she discovers the fate of the other girl and how that single night destroyed one life but opened the way to reconciliation for another. Justice may prevail, but it’s a bittersweet victory. This is a suspenseful police procedural that rates with the best of author Spindler’s suspense novels. Miranda’s a character with obvious depth, a fighter pulling herself out of the environment forming her into a delinquent, to become a successful police officer. Her background always hovers, however, and it takes only a little suspicion to make her backslide into her old fears again. Eventually, it’s this weakness that helps her unravel the crime. Miranda’s struggles to solve the case and extricate herself from the onus of her old life makes this thriller an exciting read on two levels. The contemporary investigation of the murder starkly contrasts current events with flashbacks of that one life-changing night. While the love affair with Jake holds importance because it places him on a tightrope between duty and love, making him vulnerable in both his private and official life, that subplot doesn’t overpower the main story. 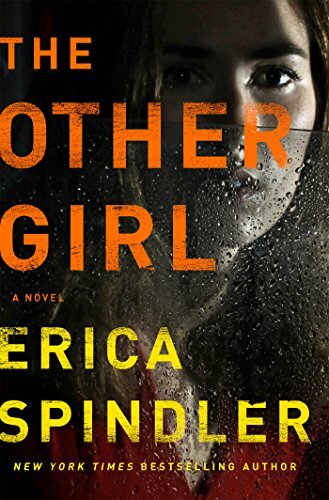 The Other Girl is a gripping thriller with a sympathetic and determined main character with whom readers can empathize.